Epicuren Discovery was voted into Beauty Launchpad Magazines 2011 Readers' Choice Results in three categories. 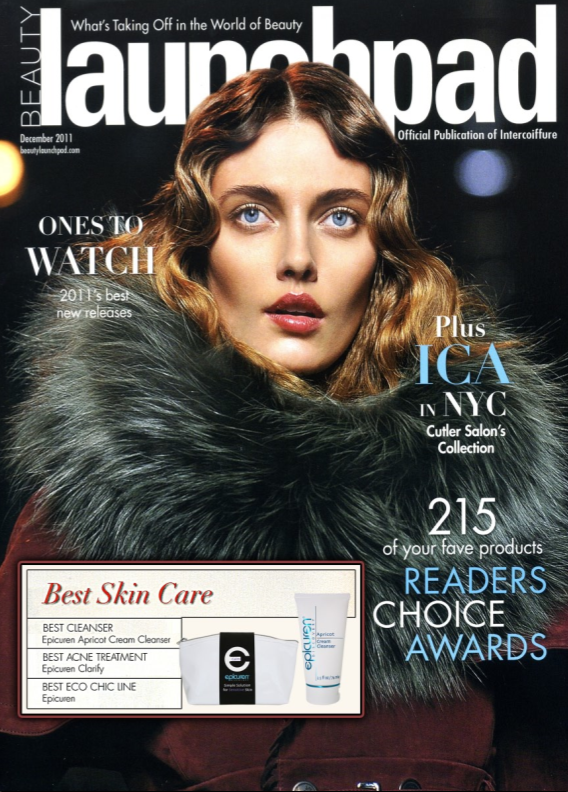 The Readers like Epicuren for the BEST ECO CHIC LINE, Epicuren's Apricot Cream Cleanser for BEST CLEANSER, and Epicuren's Clarify line for BEST ACNE TREATMENT. Click here for more information on Epicuren's Apricot Cream Cleanser. Click here for more information on Epicuren's CLARIFY Simple Solution Kit.